Southern Loggin’ Times’s July issue spotlights Louisiana’s Jack McFarland, who embraces Timber Guide enhanced GPS technology. 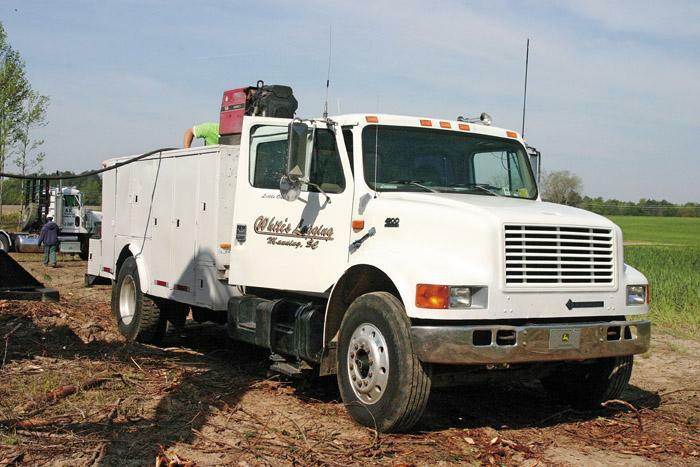 Also featured are SC’s White’s Logging, where logger Rueben “Curly” White takes a different approach and spends money in order to save, and NC’s Goodson All Terrain Logging, where owner and veteran swamp logger Bobby Goodson deals with rising costs and stagnant markets. 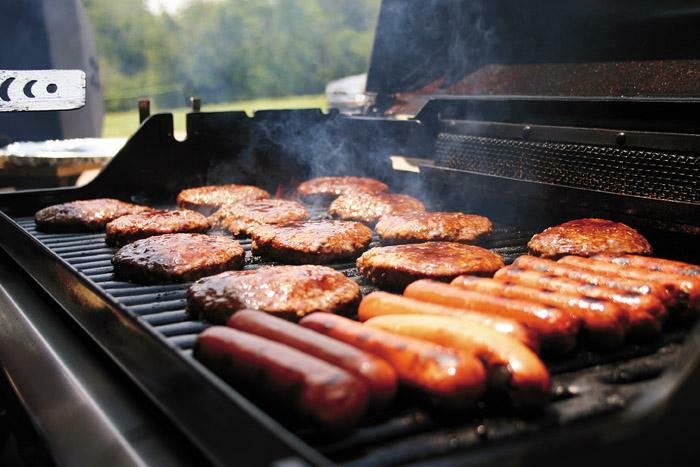 The issue provides a recap of the Mid-South show, and the Southern Stumpin’ section highlights the move from leisure travel plans due to higher fuel prices to enjoying backyards, neighbors, and time with family in people’s own communities. According to gasbuddy.com, regular unleaded gas prices in the South range between $3.77 and $4.09. Diesel prices range between $4.59 and (gasp) $5.09. Yes sir, over the $5 mark. Mind you, that’s of this writing, about a week after the Mid-South show closed the gates on another great event. Fuel prices, as we’ve seen, can and will change at the drop of a hat. There’s a saying that you have to spend money to make money, but in these times of unpredictable fuel prices, Rueben “Curly” White has not hesitated to spend money to help make and save money; he’s recently bought a couple of new machines that according to him, drastically reduce fuel usage. 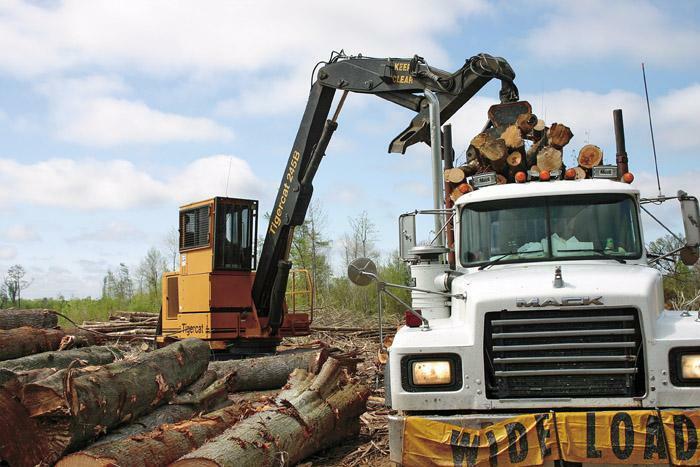 For twenty years, third generation Bobby Goodson, owner of Goodson All Terrain Logging, has logged mostly hardwood bottoms of eastern North Carolina. 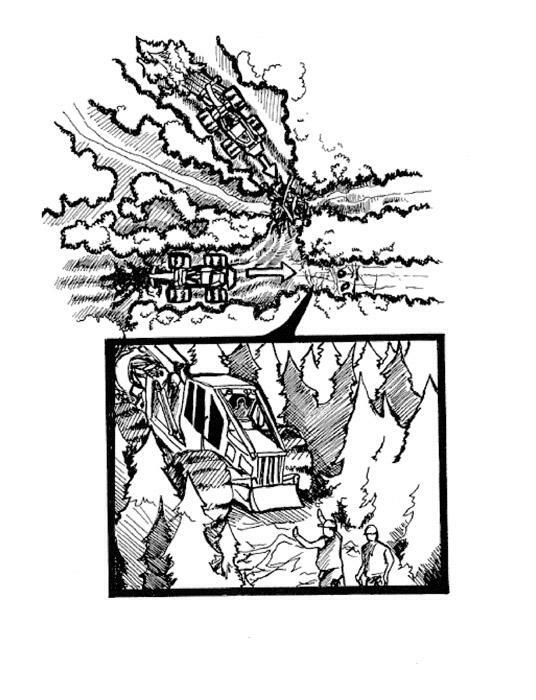 Initially, he ran a low ground pressure operation and converted to shovel logging about 12 years ago. The logger proudly notes that the company has grown every year. Some years that growth was razor thin, but it never went backwards. This year isn’t shaping up that way. 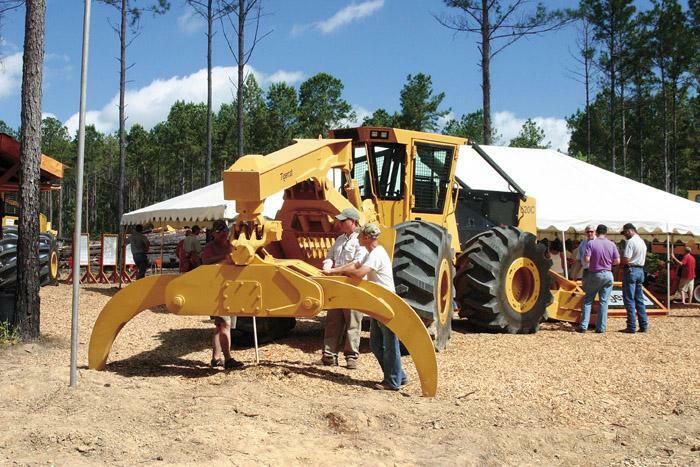 Loggers and associated manufacturers turned out in surprisingly good numbers for the 25th iteration of the Mid-South Forestry Equipment Show, held June 6-7 just south of town in the intensely-managed Mississippi State University (MSU) John W. Starr Memorial Forest. According to show officials, an estimated 6,000 people of all stripes passed through the gate. 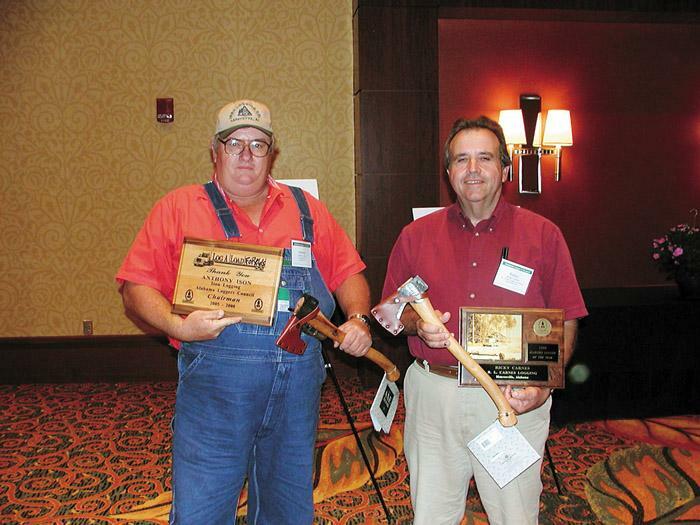 Honored at the June 15 annual meeting of the Alabama Loggers Council were Anthony Ison, left, and Rickey Carnes. Ison, of Lafayette, was honored for his efforts in leading his district to high performance in Log A Load For Kids fund raising events. Carnes, of Monroeville, was honored as Alabama Logger of the Year. 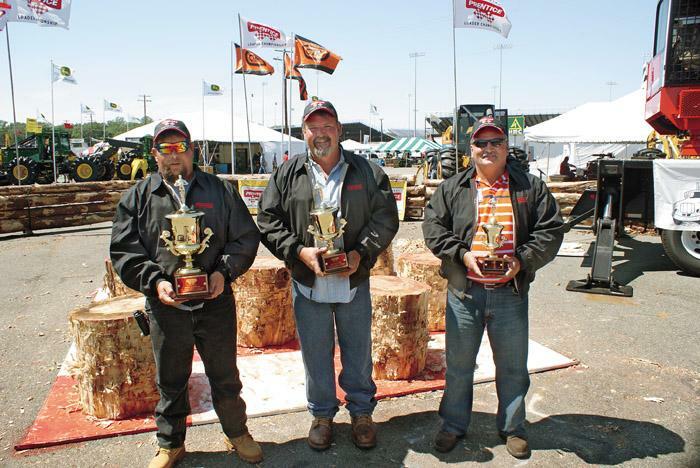 The top finishers in the Prentice Loader Championship at Expo Richmond 2008, May 16-17, in Richmond, Va., were (first to third place from left to right): Brent Hill, Lillington, NC. ; Binky Tapscott, Scottsville, Va.; and Harry Pickett, Hilliard, Fla.
BACKGROUND: A forester and a logging supervisor were walking on a skid trail towards the yard after inspecting a harvest operation. It was mid-afternoon on a clear winter day in the Northeast. Deep snow in the woods made walking on the skid trail a logical choice.